Arsenal are reportedly ready to listen to offers for star midfielder Aaron Ramsey in the January transfer window in what looks the first big blow of the Unai Emery era. The Spanish tactician inherited one of the most difficult jobs in world football when he replaced the long-serving Arsene Wenger at the Emirates Stadium this summer, but he’s got off to a decent start. 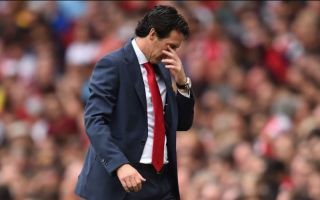 Arsenal spent well over the summer and the only disappointment was losing Jack Wilshere on a free transfer, though his injury record and dip in form meant that was met with emotional disappointment from some fans rather than any real worry. Ramsey, however, has been a key player for Arsenal in recent times and has started well under Emery, but it looks like he could now be off soon. The latest from the Times is that the Wales international could be made available in January so the club don’t lose him on a free in the summer, with some big names having enquired about him previously. One imagines there will be a long list of clubs trying to snap Ramsey up, and it’ll undoubtedly be Arsenal’s loss if he cannot be persuaded to sign a new contract. Emery will have his work cut out finding a cheap option to replace the 27-year-old and all he offers in midfield.